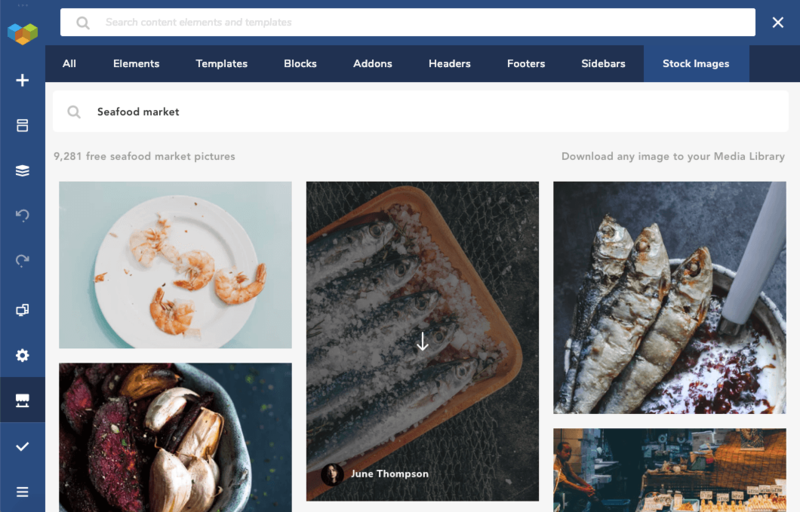 Visual Composer together with Unsplash offers you a unique and simple way to discover and use stock images. Visual Composer Hub (Premium subscription) grants you access to the whole Unsplash photo library. Discover high-quality images right from the Visual Composer editor. Select your preferred size and click download. Visual Composer will automatically download the image and add it to your Media Library. Note: There are 3 available image sizes – Small, Medium and Large. We recommend downloading the smaller sizes unless absolutely necessary to download the largest size. Smaller images are better for SEO and the performance of your page. The image will be added to the Media Library. Once an image is downloaded, use any content element that allows adding media (ex. Single image, Image Galleries, Hero Sections, etc.) or Design Options background to display the image. You can access the Unsplash profile of any image author by hovering on any of the images and then clicking on the name of the author.